Body Language in Business – Can You Read it? Has it ever occurred to you how much you are saying to people with your body language? Even when you are not speaking, people can hear you. Unless you are a master of disguise, you send messages about your true thoughts and feelings whether you are using words or not. Think about it. In the business setting, people can hear what you are not saying. In other words, they can read your mind. By the same token, you can pick up on the unspoken words of colleagues, customers and client by paying attention to their body language. A professor at UCLA did research on communication in which he arrived at the 7%-38%-55% rule. He found that 7% of communication is based on the actual words we say. As for the rest, 38% comes from tone of voice and the remaining 55% comes from body language. The next time you are in a meeting watch for body language cues from others, and consider your own. Eye contact is the most noticeable way you communicate. When you look the other person in the eye, you show interest. When you look away, it’s clear that you are not paying attention. Smiles are also an obvious form of non-verbal communication. When it comes to smiling, the mouth can lie, but the eyes don’t. A genuine smile involves the eyes, crinkling the skin around them. If you want to know if that smile is authentic, look for the crinkles at the corners of the eye. The position of your head sends unspoken messages. Keeping your head straight, which is not the same thing as keeping your head on straight, will make you look confident and authoritative. People will take you seriously. If you want to appear friendly and open, tilt your head slightly to one side. Arms and legs give clues about how receptive a person is. Arms crossed or folded over the chest signal resistance as do crossed legs. The move may not be intentional, but it is reveals that the other person is blocking off what is being said. The best place for your arms is by your side. You will look confident and relaxed. If this is hard for you, do what you always do when you want to get better at something—practice. After a while, it will feel natural. The angle of your body gives an indication to others about what you are feeling and thinking. Leaning in says, “Tell me more.” Leaning away signals you’ve heard enough. Mirroring body language is a good thing. Copying another person’s posture and gestures is usually something we do unconsciously when we are in agreement and feel a bond with another person. If you are in negotiations, this tip is useful. Posture sends an immediate message. The person who enters a room standing erect and using open expansive gestures looks self-confident and in control. That person commands respect. You may not be aware of what you are saying with your body, but others will get the message. Make sure it is the one you intend to convey. And watch for the signals that other people are sending. You may not be a mind reader, but you can learn a lot, especially when words don’t match expressions and gestures. 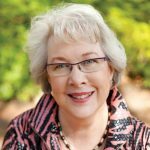 Lydia Ramsey is a Savannah-based business etiquette expert, professional speaker, trainer and author. Contact her at 912-598-9812 or visit her at LydiaRamsey.com to leave a comment, ask a question or learn more about her programs and products. This entry was posted in Body Language and tagged body language business etiquette, communication, etiquette expert, eye contact, smiling on December 7, 2017 by Lydia Ramsey.